Shilpgram Udaipur (Entry Fee, Timings, Safari, Best Time to Visit, Images, Facts & Location) - UdaipurTravel.in Shilpgram, Udaipur, Rajasthan, Places to visit, The Craft Village. Shilpgram Udaipur (The Craft Village), Situated 3 kms west of Udaipur is the Rural Arts and Crafts Complex. 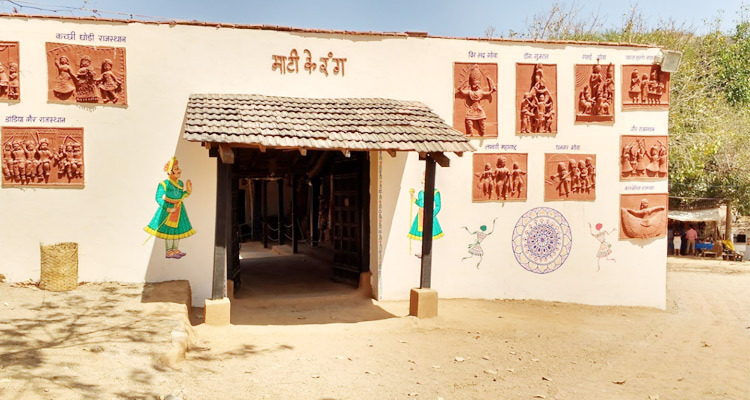 Spread over an undulating terrain of 130 bighas (70 Acres) of land and surrounded by the Aravallies, the Rural Arts and Crafts Complex is conceived as a living enthnographic museum to depict the lifestyles of the folk and tribal people of the West Zone. Within this complex, huts of the member states are constructed incorporating traditional architectural features of different geographical and ethnic groups residing within the West Zone of India comprising of five Federal States. 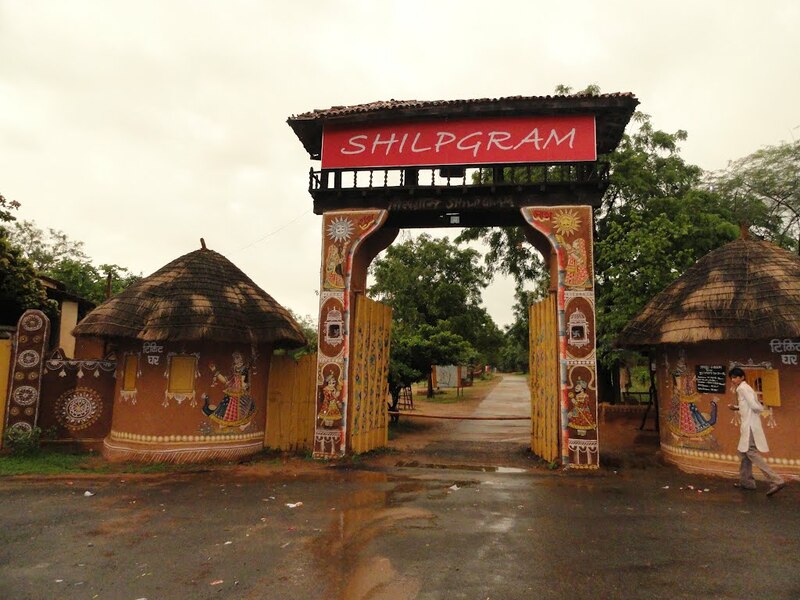 One of the important objectives of Shilpgram is to increase awareness and knowledge of rural life and crafts, specifically, for the younger generation. Special emphasis is laid on workshops for children on arts, crafts, theatre and music. The traditional village life to a considerable extent is self-contained and self-sufficient with a potter, carpenter, blacksmith and often a weaver living alongside one another nourishing and husbanding a series of transactions. To highlight these complex yet simple relationships, these huts are constructed in an interlocking occupational theme vested with its own internal dynamism. The Centre's Rural Arts and Crafts Complex adopts this cellular approach such that each individual hut is at once an organic entity and at the same time nourishing and husbanding a series of such transactions. One can easily reach Shilpgram either by taking regular buses, auto-rickshaws and taxis from the city.